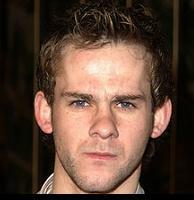 Biography: Monaghan is best known for the British television drama Hetty Wainthropp Investigates (1996). He was studying English Literature, Drama and Geography at Sixth Form College when he was offered the co-starring role in the series, which ran for four seasons. His other television credits include This Is Personal: The Hunt for the Yorkshire Ripper (2000) and a leading role in Monsignor Renard (1999), a series starring John Thaw. On the stage, Monaghan has performed in the world premiere UK production of The Resurrectionists, Whale and Annie and Fanny from Bolton to Rome. Since watching Star Wars when he was six years old, Dominic has been consumed by films. His other obsessions include writing, music, fashion, playing/watching soccer and surfing. Utilizing his writing skills, he and LOTR co-star Billy Boyd are collaborating on a script. Born and raised in Berlin, Monaghan and his family moved to England hen he was twelve. In addition to speaking fluent German, he has a knack at impersonations and accents. He frequently returns to his hometown of Manchester, England to see his family and to be closer to the Manchester United Football Club.  "We work so well with [Peter Jackson] because Pete understands Hobbits so well. Because he is a Hobbit. He has so many Hobbit qualities to him."